Nellore is a city in Nellore district of the Indian state of Andhra Pradesh. It is located on the banks of the Penna River in Nellore mandal of Nellore revenue division. The city is the fourth most populous settlement of the state well known for its agriculture and aquaculture. It is a municipal corporation and the headquarters of Nellore district. A mythological story from Sthala Purana depicts, a lingam in the form of a stone under belli tree. The place gradually became Nelli-ooru (Nelli=Tree and ooru=place) and then to present day Nellore. Nellore existed from the times of the Cholas ruled by Rajendra chola under Tanjavur Mauryan empire and was ruled by Ashoka in the 3rd century B.C. Nellore was conquered by the Rulers of the Pallava Dynasty and it was under their till the 6th century AD, subsequently the Chola rulers ruled Nellore for a long period of time. The Telugu Cholas met their decline in the 13th Century.Tamil inscriptions indicate that it formed part of Cholas kingdom till their decline in the thirteenth century AD. It later became a part of Kakatiyas, Vijayanagara Empire, Sultanate of Golconda, Mughal Empire and Arcot Nawabdom. In the 18th century, Nellore was taken over by the British from the Arcot Nawabs and was part of the Madras Presidency of British India. The city had an important role in the emergence of the Telugu language and the formation of the state of Andhra Pradesh. Potti Sriramulu, who fasted until death for the formation of Andhra Pradesh, hailed from Nellore. It had been under the rule of Cholas, Pallavas, pandiass, Maurya Dynasty, Kharavela of Chedi dynasty, Satavahanas, Kakatiyas, Eastern Gangas of Kalinga Empire, Vijayanagara Empire, Arcot Nawabs and other dynasties. The city is well connected by road with national and state highways, a major main line of Indian Railways provides rail connections and it even has a sea trade, with very close proximity to Krishnapatnam Port. Krishnapatnam Port is a privately built and owned all weather, deep water port on the east coast of India, located in the Nellore District of Andhra Pradesh. 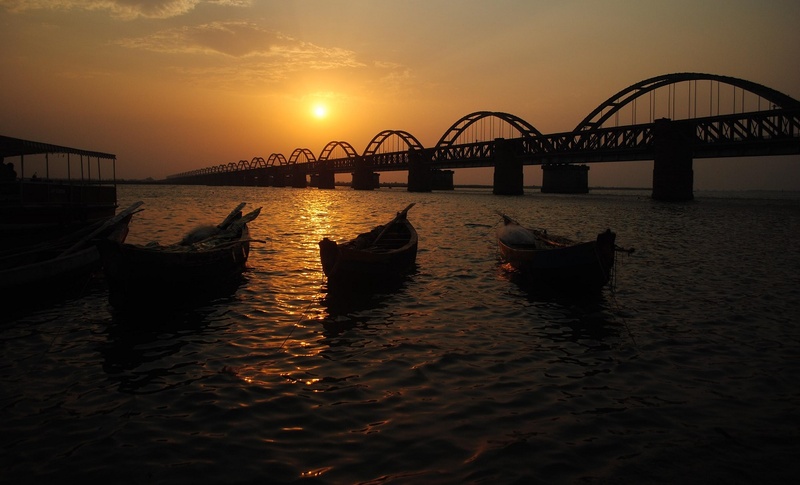 It is located about 190 km north of the Chennai Port and 18 km east of the city of Nellore. The port is owned and operated by the Krishnapatnam Port Company Limited (KPCL) which is 92% owned by Hyderabad-based CVR Group. The London-based equity firm 3i Group Plc owns the remaining 8% equity in the KPCL.